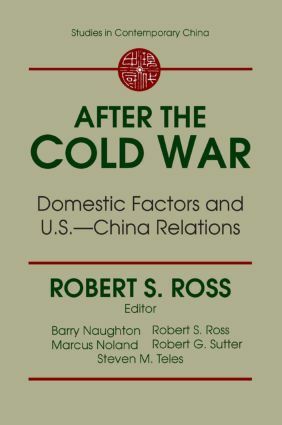 As relations between the United States and China move into a period of intense activity and sensitivity, this timely book addresses the impact of domestic factors in both countries on their post-Cold War/post-Tiananmen relations. The contributors examine the issue from a number of distinct perspectives: the increased impact of domestic factors in both countries due to changing strategic circumstances; the politics of China policy in the United States, with emphasis on the role of interest groups vis-a-vis Congress, the media, and other domestic institutions; the importance of domestic factors in U.S.-China economic conflicts; the combined impact of domestic factors in both China and the United States on the most important conflict of interest in U.S.-China relations -- the Taiwan issue. China's relationship with the developing world is a fundamental part of its larger foreign policy strategy. Sweeping changes both within and outside of China and the transformation of geopolitics since the end of the cold war have prompted Beijing to reevaluate its strategies and objectives in regard to emerging nations.Featuring contributions by recognized experts, this is the first full-length treatment of China's relationship with the developing world in nearly two decades. Section one provides a general overview and framework of analysis for this important aspect of Chinese policy. The chapters in the second part of the book systematically examine China's relationships with Africa, the Middle East, Central Asia, Latin America, South Asia, and Southeast Asia. The book concludes with a look into the future of Chinese foreign policy.